Judging by that title, you might think I’m talking about Infiniti’s infamous North American launch. That launch was announced with a series of cerebral and uninformative commercials, Nissan’s luxury brand coming into existence with a rather blandly-styled flagship and a dated companion coupe. Believe it or not, the brand’s Australian launch was even worse. I’m not even sure you could call it a brand launch. 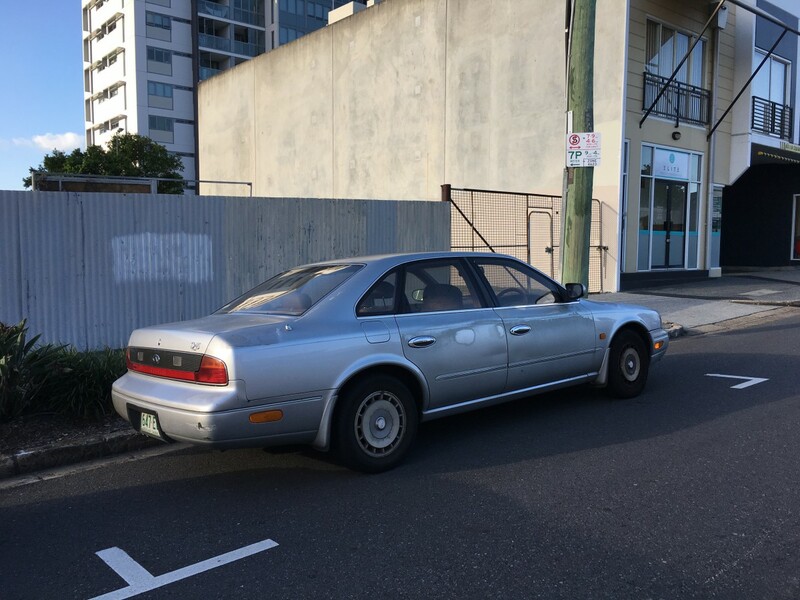 The Q45 was badged as a Nissan Infiniti Q45, as it was in Japan. Advertising called it the “Nissan Infiniti”. Even the taillight assembly had a little Nissan badge added to it. And the Q45 was sold in showrooms alongside Pulsars and Micras costing a seventh of the price. Toyota had established dedicated Lexus dealerships but, although the Q45 cost roughly the same as the rival LS400, Nissan sold it through four of their regular dealerships. That’s right, just four in the entire country. 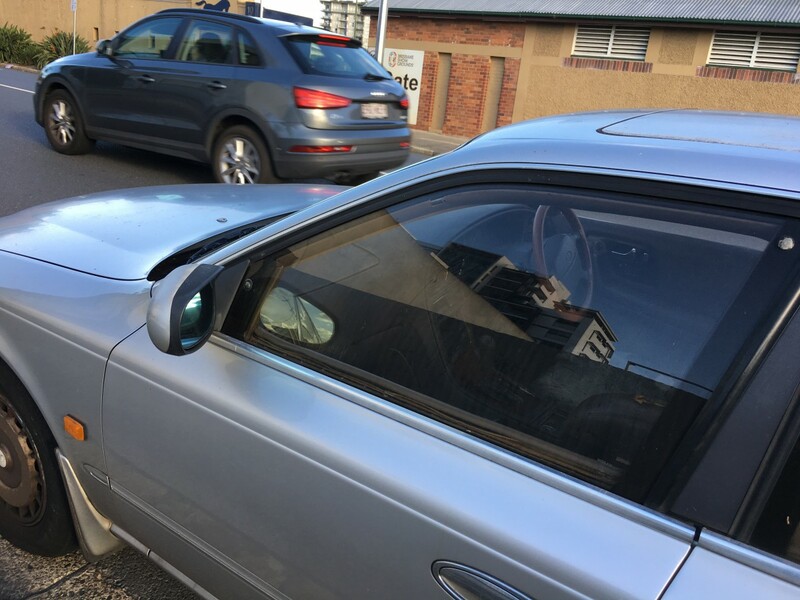 And although Nissan had no problem introducing a $AUD140,000 car to their showrooms – a whopping $60k pricier than the next most expensive Nissan, the 300ZX – they hemmed and hawed about whether they should offer their Full-Active Suspension (FAS) system. This system, a world first for a production car, employed 10 sensors which sent signals to microprocessor-controlled hydraulic actuators at each wheel in lieu of shock absorbers. 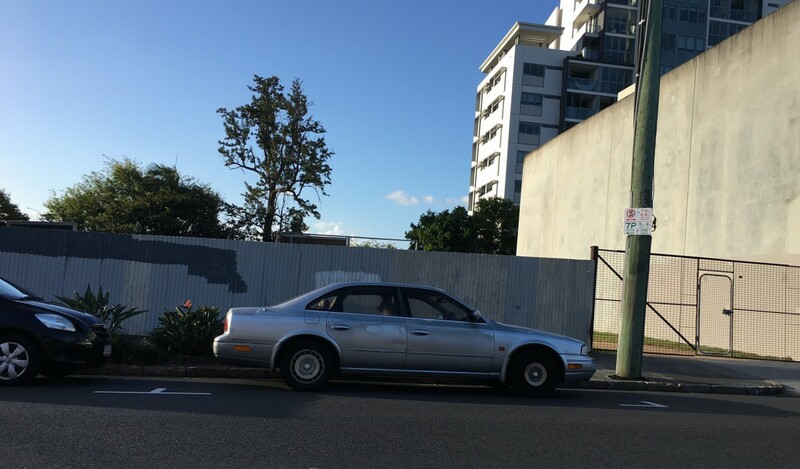 Highly impressive for its time, it would have increased the Q45’s price in Australia by 10% so it was nixed. It seems Nissan thought they’d find buyers for their $140,000 sedan but those buyers would find a $154,000 asking price a bit rich. If Nissan thought buyers were going to wander into a showroom and plonk down BMW 540i money on a Q45, they were dreaming. Over four years, Nissan sold around 132 Q45s. In 1995 alone, Nissan mustered only 11 sales. In comparison, Lexus’ best year for the LS400 resulted in around 400 sales. It all came down to two things: the price and the badge. 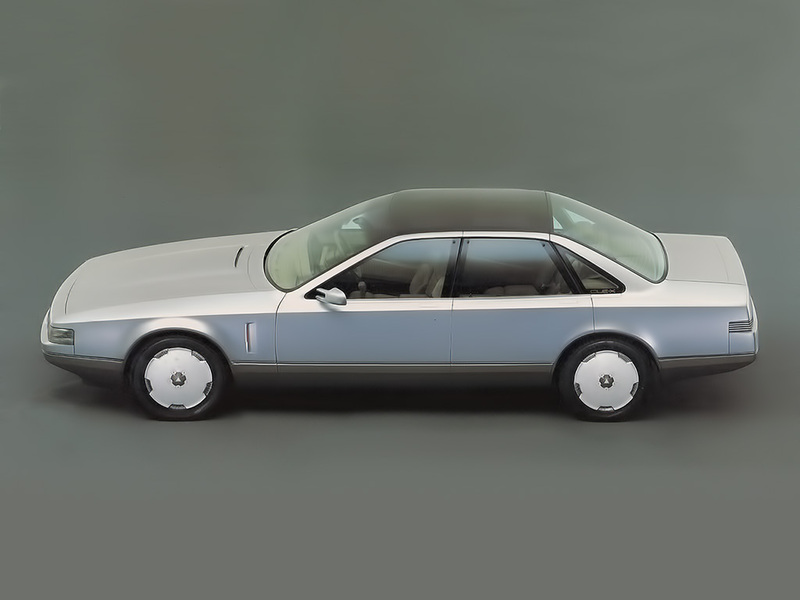 Toyota could convince buyers to spend the same amount of money on an LS400 because it wasn’t badged as a Toyota and buyers didn’t have to mingle with the hoi polloi shopping for Corollas. Not only did Toyota have a highly desirable new product, it wore a new brand name that was free of any association to something as inexpensive as a Corolla. Buyers looking through a full-line Nissan brochure, however, would have seen a full-size sedan with a Nissan badge and thought it was the brand’s rival to the Mazda 929 or Honda Legend. Those flagship offerings from rival brands, however, sold at 50-60% the price of the Q45. 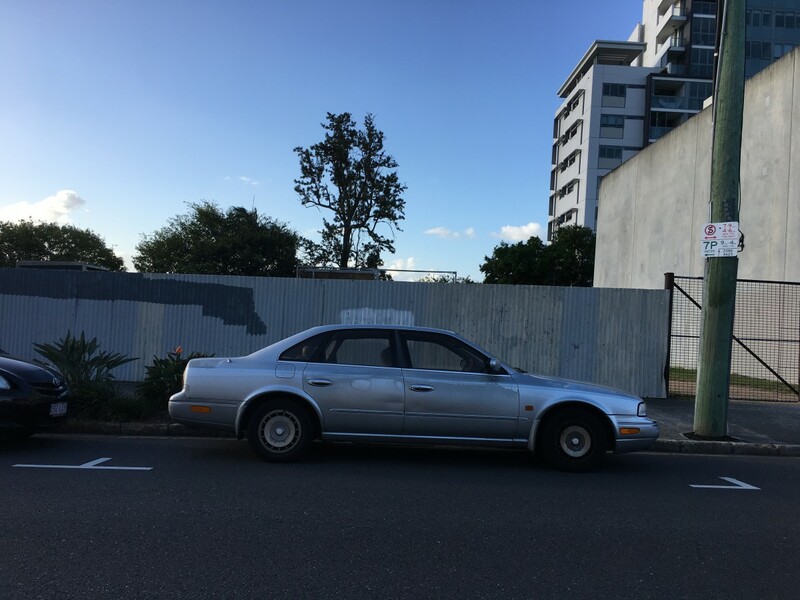 Nissan was never going to sell many Q45s in Australia with such a simultaneously ambitious and unenthusiastic effort. So lackluster was Nissan’s attempt to sell the Q45 here that the local car magazines never even bothered to subject it to a full test drive. Even in the US, where the Nissan logo was nary to be found in an Infiniti showroom, the Q45 struggled against the LS400. 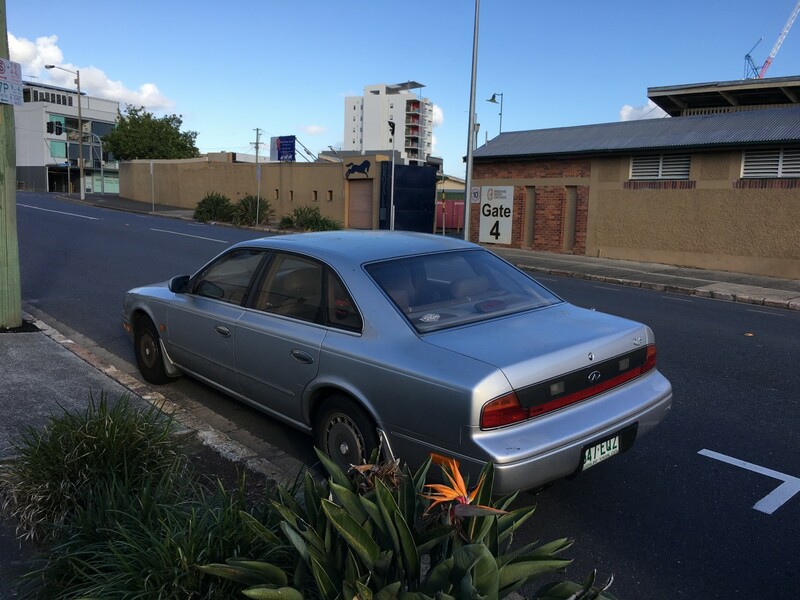 Australia never received the early Q45 models with their austere, wood-free interior and grille-less frontend. 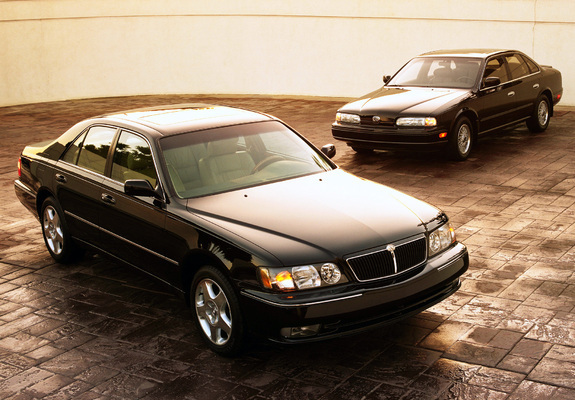 Although developed and launched almost entirely in tandem, the Q45 quickly disappeared into the LS400’s shadow. Infiniti’s avant garde advertising didn’t help the Q45 in North America, nor did a list price $3k higher than the LS. The styling was smooth and modern, if innocuous, but the frontend was uncomfortably reminiscent of a Passat or Taurus. The LS, in comparison, looked as stately as an S-Class. The LS400 seemed to hit the sweet spot in terms of sizing, comfort and all-round competence. The Q45, in contrast, had its flaws. Interior room was merely average for a car that measured 200 inches long with an S-Class-rivalling 113.2 inch wheelbase, and the Q45 lacked the kind of sumptuous rear cabin room expected in the class. The Infiniti was also quite heavy at a smidgeon under 4000 pounds, around 200 pounds heavier than an LS400. The Q45 did try to make up for that extra weight with extra power: the DOHC 32-valve 4.5 V8 produced 278 hp at 6000 rpm and 292 ft-lbs at 4000 rpm. This put the upstart Infiniti at almost the same level of power and torque as the BMW 740i and Mercedes-Benz S420 and allowed it to hit 60 mph in under 8 seconds. Lexus had challenged buyers’ perceptions of how much they should have to pay for a world-class, full-size luxury sedan. Infiniti tried to go even further and challenge what a world-class, full-size luxury sedan should look like. Unsurprisingly, the Lexus’ Mercedes-derivative styling was more on the mark. 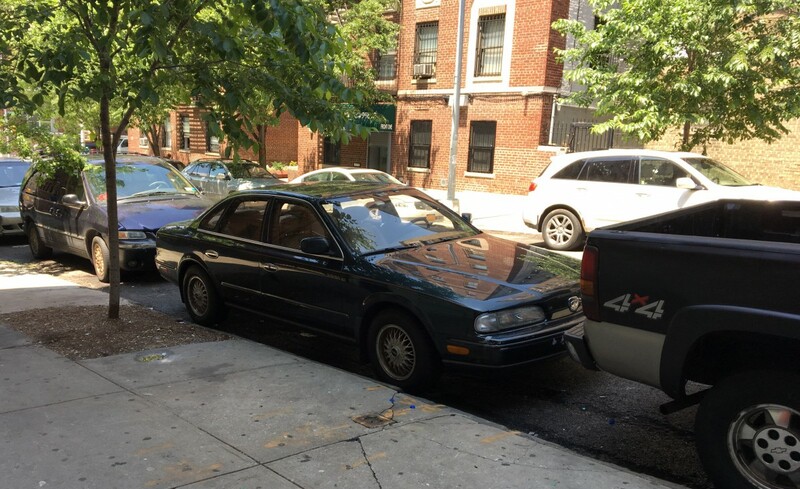 The MY1994 update was Nissan acknowledging their mistake, adding a chrome grille, woodgrain trim, front seats with less bolstering, and a softer suspension tune. Unfortunately for Nissan, it didn’t arrest the Q45’s gradually sliding sales in the US. The unfavorable exchange rate had affected most Japanese imports and had slowed the LS’ sales momentum: it went from 36k units in 1991 to 22k units in 1996. 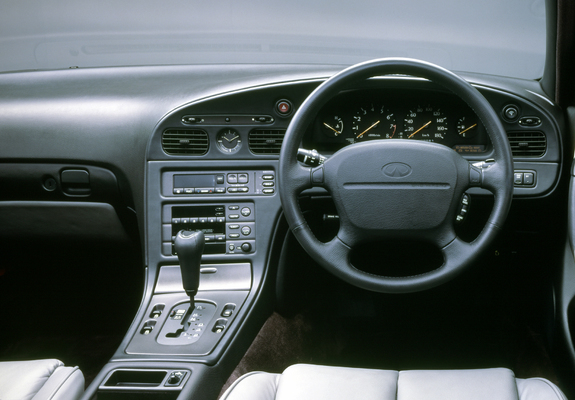 The Q45 experienced a similar slide but from a lower base: from 14,623 units in 1991, the Q45 fell to below the 10k mark in 1995. By 1995, Infiniti’s North American Q45 lineup consisted of the base sedan, Q45t and Q45a. A sign of more cuts to come, the mid-range Q45t lost its four-wheel steering that year. It did, however, retain its alloy wheels, performance tires, and thicker front and rear stabilizer bars. The flagship Q45a came standard with traction control and the Full-Active Suspension. 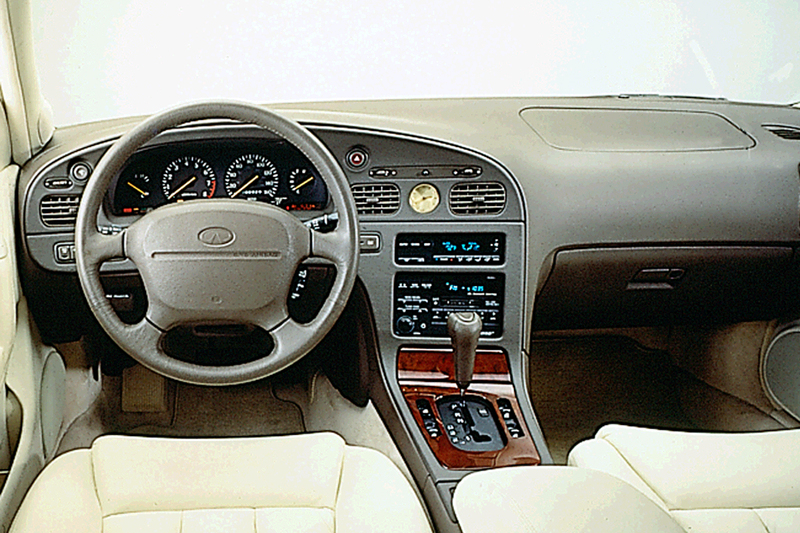 For 1996, the Q45a was dropped and FAS was no longer offered. The Q45a had cost around $4k more than a Q45t due mostly to its standard FAS, which also added 150-200 pounds of curb weight. Considering the regular Q45 was already quite a good steer, the merits of spending extra money for the FAS, however technically impressive it was, were dubious. These feature deletions, along with the softer suspension tune of the ’94 model as well as earlier steering and transmission tweaks in ’92, were evidence of Infiniti’s course correction. When Nissan had designed the Q45, they had been looking more towards BMW for inspiration for the Q45 rather than Mercedes-Benz. That sporting focus showed in the Q45’s adept handling, firm, controlled ride, austere interior, and the Q45a and Q45t’s features lists. It was becoming clear, however, that the adulation for sporting dynamics existed predominantly in the lower end of the luxury market. At the Q45’s level, sybaritic comfort was more desirable. Alas, Nissan had already sunk so much money into the Q45 and the launch of the Infiniti brand. Although overall brand sales had increased with time, Nissan had projected 90,000 annual sales for the entire Infiniti brand by 1995. The actual tally ended up being just shy of 60,000. So, when it came time to replace the car, Nissan took a more cost-effective path. 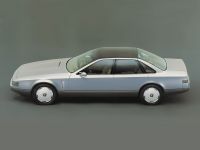 The second-generation Q45 was twinned with the new Y33-series Nissan Cima and shared the same platform as the Leopard, Cedric and Gloria sedans. 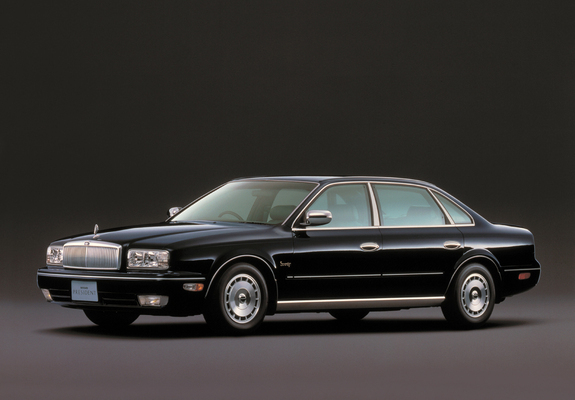 It’s rather telling that the first-generation Q45’s upscale, long-wheelbase equivalent, the President, continued to be sold and positioned atop the new Cima in the Japanese Nissan lineup. 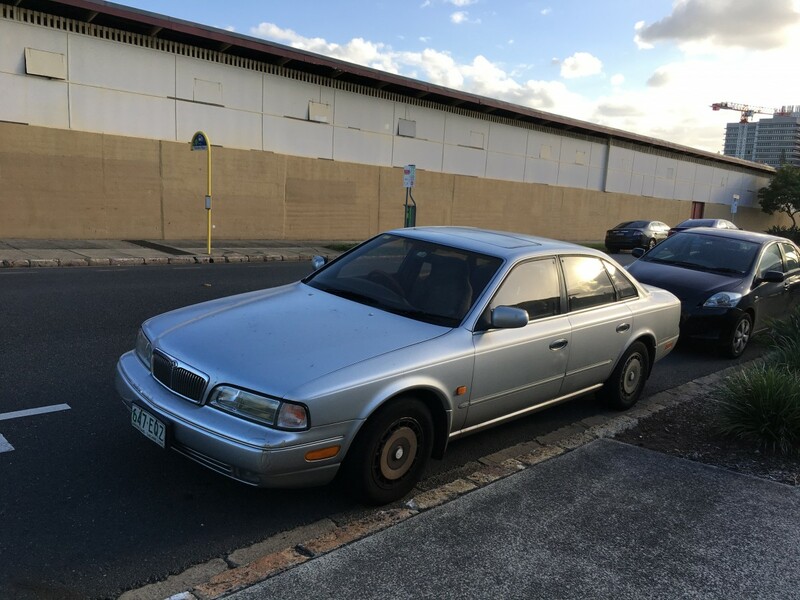 The Cima may have been an improvement over its previous JDM-only generation but its new Infiniti twin ended up being a step back in many respects. Infiniti seemed to have stood for something at first but, as the 1990s wore on, the brand morphed from an adventurous if somewhat schizophrenic brand into a blander Acura rival. The Q45’s character lobotomy didn’t even pay off in terms of sales, although it was likely more profitable. A third-generation model debuted in 2002 packing a gutsy 340 hp V8. 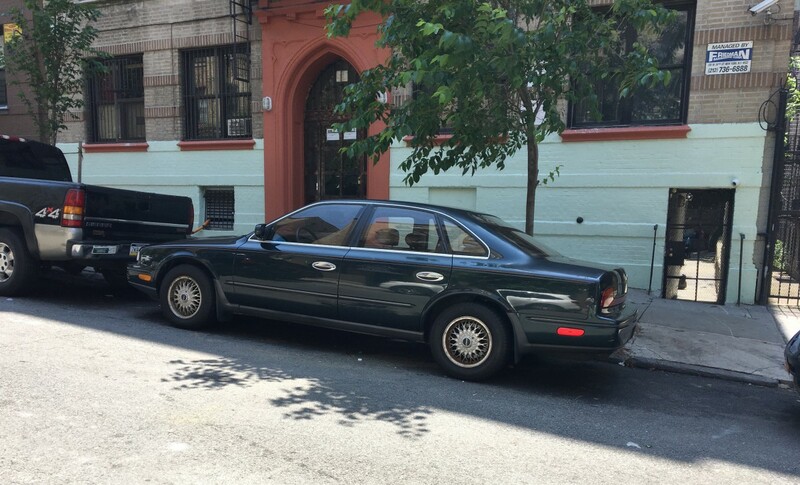 Although more faithful to the Q45’s original mission, it was an even more dismal sales failure than its predecessors and the Q45 nameplate was dropped in 2006. Although the Q45 failed, Infiniti started to turn a corner in the early 2000s with the introduction of the G35 and FX SUV. Subsequently, Infiniti has continued to grow. That growth hasn’t always been steady and the brand has had some notable downturns this century, staying adrift of Lexus in sales. Nissan has been confident enough in the brand, however, to introduce it to markets outside of North America. That includes Australia, where it officially launched in 2012. This time, there were dedicated showrooms and no Nissan logos to be found. Sales have been slow and steady – a rocky start led to some hasty price cuts – but it’s a far cry from the Q45’s performance here. The first-generation Q45 may have matched the class leaders in performance, handling, quality and refinement but it wasn’t enough to convince more buyers to choose it over the LS400, let alone the Germans. Perception is everything. It didn’t look like what a luxury car “should” have looked like and that’s probably why it didn’t meet sales expectations in North America. 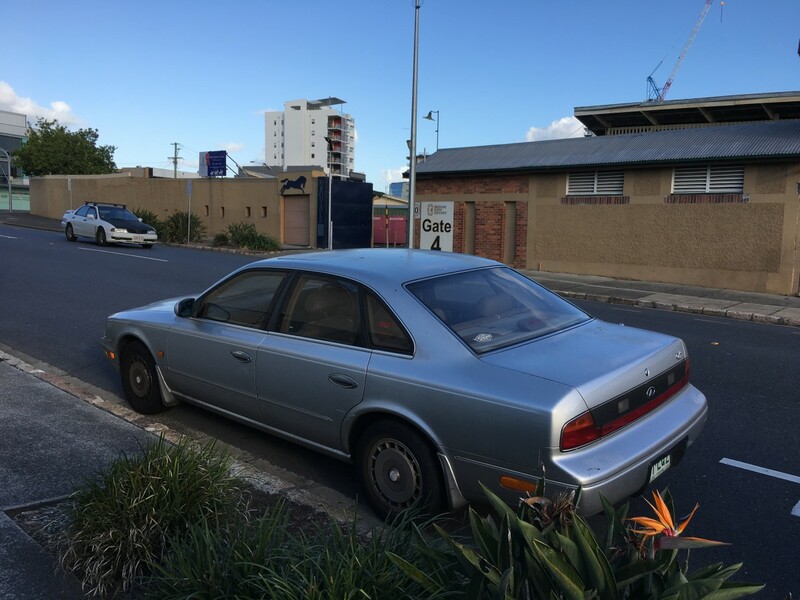 As for Australia, well, nobody wanted to spend BMW 540i money on something with a Nissan badge on it, no matter how good it was. I don’t know how to feel about the Q45. I always thought it was confused, it always gave off the impression that it didn’t know what it wanted to be. Did it want to compete with Lexus? Did it want to be a BMW fighter because of the engine and some of the handling and suspension upgrades that could be had with it? Did it just want to do it’s own thing? The fact that the M30 and G20 didn’t share any similarities to this from a styling perspective, which gave off the impression of a disjointed and confused line up, it’s little wonder it didn’t do well. I sort of have an admiration for it, in a failed “What could’ve been” sort of way, if nothing else, it’s at least interesting. Of course, I like the less bold second generation model, because it aligns more with my aesthetic sensibilities and I just find it more complete. Very true. The Q45 was easily the most impressive Infiniti as the G20 was a mainstream European Nissan and the M30 was an ageing JDM Leopard. I’ve said before that if Infiniti really wanted to push this sport luxury, BMW rival image, they should have brought over the Skyline sedan and coupe instead… which they eventually ended up doing, to great success, over a decade later. The Q45, M30 and G20 had nothing in common with each other, they barely even looked like they were part of the same brand. Contrast with Lexus: sure, the ES250 was a rather lazy effort but the subsequent ES and GS were all recognizably related to the LS and exuded that same “quiet luxury” image. I think Infiniti finally had a cohesive lineup by the end of the 1990s but while it was cohesive, it was stodgy: the I30, second-gen G20 and Q45 were all utterly conservative. I personally love these 1G Q45s and it’s towards the top of my “cheap used car” list along with the ’91-95 Mazda 929 but I can absolutely understand why Lexus sold many more LS400s. To me, the I30 was the bottom of the barrel. Take an already cheapened Nissan Maxima, make leather standard, and change grille and badges. Yet it sold well enough to stop the downhill slide and buy time for the next generation to come out. 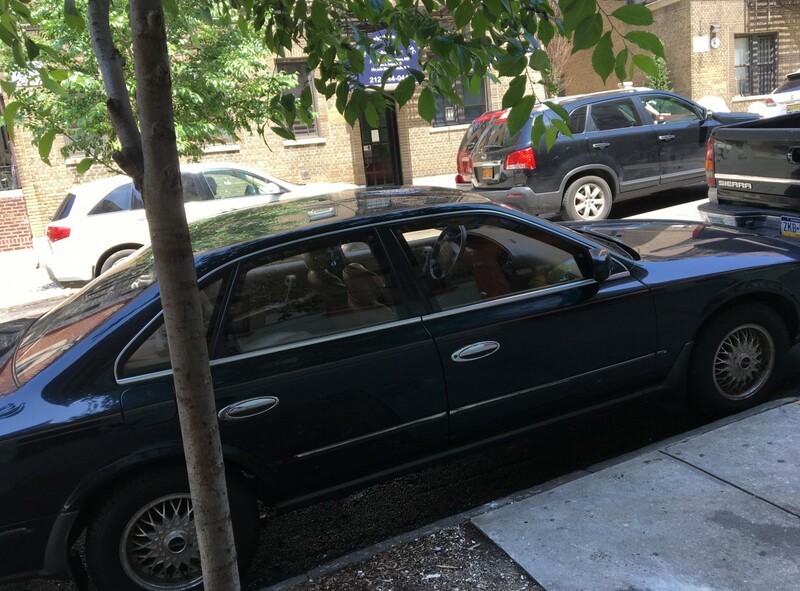 The first generation Q45 is has for a long time been on my “cheap used car” list as well, though I’d naturally be weary of what kind of mechanical/electrical issues one may have, especially one with Full Active Suspension. I never really see too many for sale, and to be honest there can’t be very many left. 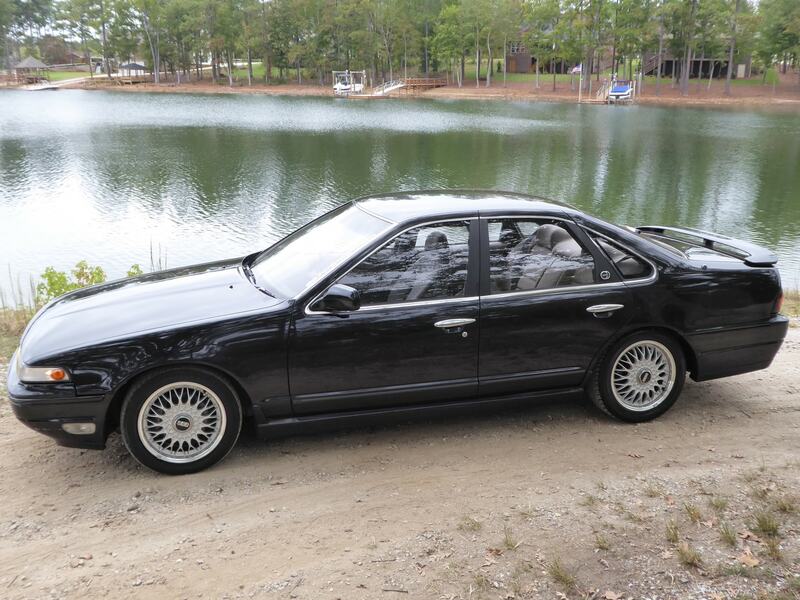 On that note, however, it’s purely coincidental that on one of my running routes, there happen to be two black first gen Q45s only several doors down from one another. I thought they were the same car, but they aren’t. At one point, one of them had a “for sale” sign in it, and since then has been sitting in the driveway with no license plates for about a year and a half. I’m mildly tempted to leave a note one of these days inquiring on it. 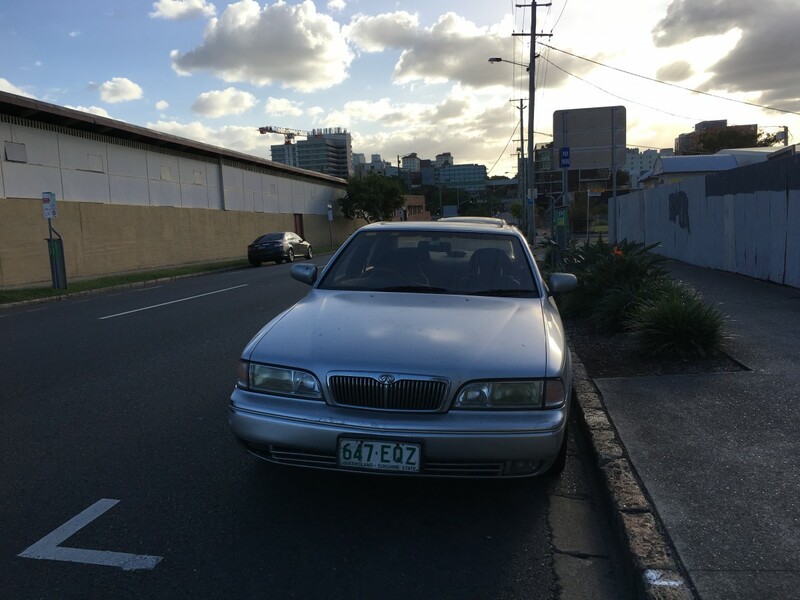 Around six months ago, I guy I know bouight a ’99 Q45 with around 150k miles for $2k to replace an Olds Bravada he totaled. He thought he was getting a deal but he’s now got over $6k into it trying to keep it operational. At least it looks good while it’s stationary. A minor correction regarding Nissan’s Full-Active Suspention here; It is not the World’s first. Toyota’s Celica GT-R Active Sports that debuted in September of 1989 is. It was essentially the same setup as the Nissan (computer controlled hydraulic struts that constantly monitored cornering, acceleration, impact, and braking forces, although Toyota also fully ditched springs as well), along with four wheel steering. Japanese market Q45’s did not arrive until November that year. We were having a good laugh about “Consider the urushi tree, is it not like a luxury car?” just the other day. When these came to the US I liked them better than I liked the LS400. They seemed more modern and athletic. Of course I was around 30 years old then, well under the demographic with the money to spend on a car in this class so I realize that my tastes might not have been all that relevant. And wow, why even bring these to Australia? The way they did it was a bust, of course, but trying to set up a standalone dealer network on the volume they were likely to get would have been madness too. The comparisons of Lexus and Infiniti from their starts is a very deep and interesting case study. While I’m personally a fan of the original Q45, as it appeals more to my taste in luxury cars, it obviously was not the right vehicle to serve as a flagship of a new luxury brand. One has to wonder if the Q45 and Infiniti would have been more successful early one had the Q45 retained most of its other qualities, yet had been sized a class smaller (think 5 Series size, not 7 Series), where more sporting characteristics are preferred, with a larger, more LS 400-like flagship sedan positioned above it. Every time I see one of these or the previous gen, I think of my favourite concept car from this era. And what could have been. I thought that a really elegant piece too, but I’ve forgotten what it is? Your last statement No mater how good it is, is what most luxury carmakers are having trouble with. It just does not have the snob appeal like BMW and Mercedes. I don’t like marketing, or being marketed at. It manages both to bore and irritate me. I maintain the naive notion that merit prevails, despite a world awash with proof to the contrary. If Nissan wanted to make an upper-crust player, it should do so by making one, I thought. I was offended by the misspelt name, and it’s meaning-free connotations for a car even if correctly spelt. Made me immediately suspicious of the actual product. The lack of content in the ads seemed to confirm the suspicion of the triumph of the marketeer. When practically no-one fell for it, I sneered. Honda didn’t bother with Acura in Aus, why, it just relied on the good name it had. Amati never happened, and Eunos flared only briefly before the idiocy of trying to sell a posho Mazda under a marketing banner that sounded too much as if it belonged to one without testicles, Eunos, became obvious. I was of course wrong. I was the same with Lexus, soon enough the world’s most successful lux brand of car. People do love their brands, and only infrequently on merit. This Q45 looks surprisingly good today, toned down and a bit classy, as opposed to the nothing-bus I saw it as in the day. William, finding one of 132 cars – most surely now out of circulation – in a country the size of most of the continental USA surely deserves some CC award. Very interesting story — I had no idea about the Q45’s history in markets outside of North America. Given Infiniti’s initial flop, I was surprised the brand survived here at all. I wonder whether Infiniti’s early failure in Australia could even be considered a failure, or just a disqualification for non-effort? Really, could they have tried LESS? If there’s one analogy I can think of it might be VW’s Phaeton — probably a great car, but an absurd stretch to sell it as VW-branded vehicle. 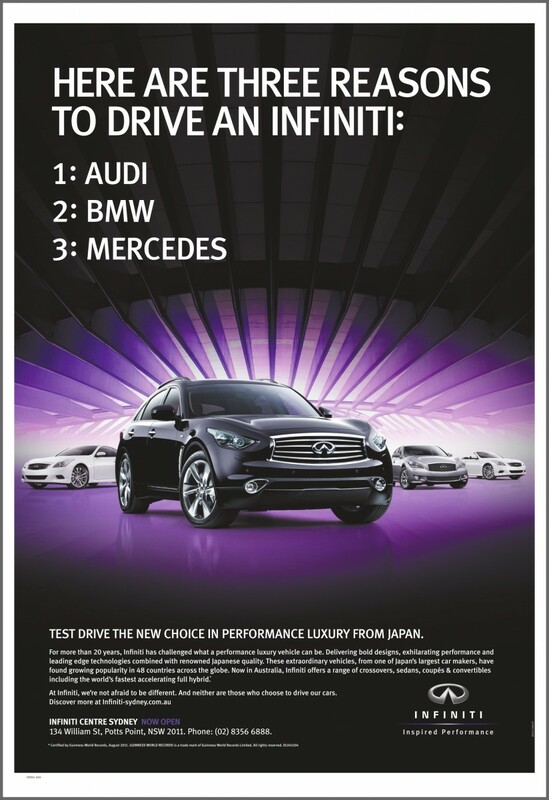 I guess the VW folks didn’t familiarize themselves with the Australian Infiniti story. The story of the birth of Infiniti and the problems related to the launch of the Genesis brand are very similar to each other. It’ll be interesting to see if Genesis finds its way. A good comparison. Genesis, unless they really can turn it around, is doomed to mediocrity at best. The Koreans have made almost the exact mistake as Nissan did in this case. You cannot sell a luxury car at a mass market dealership with any hope of long term success. That the Genesis was their large car, and then coupe, and sold at your local Hyundai outlet (next to the bargain banners), means that the buyer is always going to be cognizant of the origin of the beast. Demanding a separate dealership, with luxury amenities, is a given to make the sale of any luxury brand palatable. Cadillac is focusing on this now, perhaps too late. Sales, and especially service after the sale, is key to long term success for these brands. If you pamper the buyer, and keep them pampered when the car is in the shop for service, then they feel the purchase was justified. But when you share space with a budget brand, it kills the illusion of superiority. I thought the original (grille-less) Q45 was an extremely distinctive car and actually beautiful. Also beautifully different. The major thing they did wrong was not feature the cars in the ads as well as underestimating the snobbery of the US customer. The imagery and messaging was good, the dealerships themselves were also well done. Just the non-showing of the cars was an issue as was the M30 – it couldn’t have looked different than the Q if they had tried whereas the ES250 had some of the LS400’s design cues. The G20 (one of the best front drivers on the market in the 90’s) was launched a bit later, and nobody has mentioned the J30 that was another couple of years down the road – now there is a polarizing vehicle (I’m not a fan, just can’t get beyond the exterior). Sometimes things just don’t work out as planned. i think this ended up causing a huge hit to Nissan’s corporate self-esteem that made them sort of flounder for many years going forward, the polar opposite of Lexus. 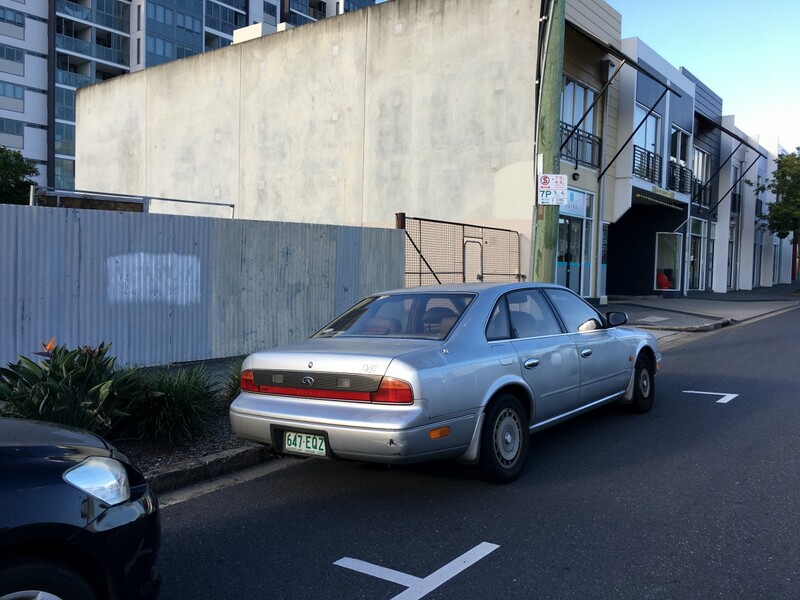 I suppose the Australian Nissan Infiniti Q45 launch was like that of the Hyundai Genesis. And Hyundai extra-messed-up by using the same Genesis nameplate on a far-less-mature coupe that shared NOTHING with the sedan, other than a basic RWD platform. Mind you, the Genesis didn’t cost as much as the 5 Series and E-Class with which it competed. And still doesn’t, now that it’s the Genesis G80. Yeah, moving a nameplate from a Fast-and-Furious style sports coupe to a luxobarge-fighter is one of the more… strange marketing decisions as of late. Count me in as another fan of the original Q45. I see the Q45 was more the Japanese Jaguar XJ vs the Japanese MBZ from Lexus. Obviously, we know which brand/car was the better one to emulate, especially in the US. I like the current Q50, since I can tell what it is right away. Has unique tail and C pillar. I agree. The new QX30, Q50, Q60, and QX50 all have what I would consider to be succsssful and confident styling. Even the refreshed-for-2018 QX80 is a vast improvement style-wise. I’m a fan of the pre-Carlos Ghosn Nissans of the ’80s and ’90s, when Nissan was unprofitable but built cars that were far more exciting than their Honyotaru counterparts at the time. I always liked the G50 Q45. They always seemed competent, confident, and independent, unlike the arrogance that accompanies Eurocars and the mindless, dodo-of-the-road status identified by a Lexus. I understand that the G50 has quite a cult following and has made for some pretty hot sleeper cars that make big HP. If I ever came across a deal on a good-condition, low-miles G50, it would be very tempting to pick up. 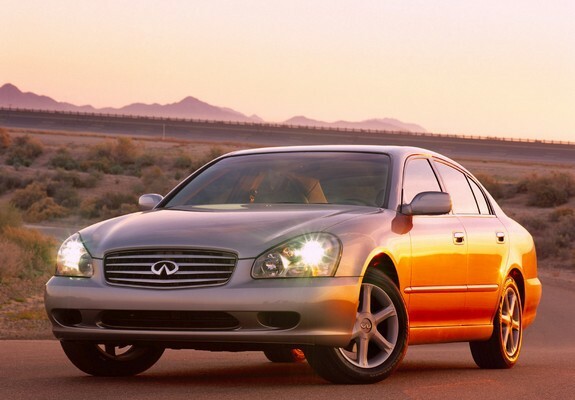 The odd thing to me regarding Infiniti’s launch was the lack of a smaller sedan, because they already had a rear wheel drive car that shared many design elements with the Q45, and made left hand drive variants; the Nissan Cefiro. Overall length was 15.2 inches shorter, on a 8.1 inch shorter wheelbase. Either the 2.0 turbocharged or 2.5 naturally aspirated RB inline six cylinders would be suitable and were available. Nissan could even repeat a Touring model because HICAS four wheel steering was an option. For whatever reason, they didn’t, but I do think it was a lost opportunity in market position and brand identity. I remember the tedious advert but never actually saw one of the cars in Aussie, of course Nissan launched it not long after they closed their Australian factory leaving a sour taste for their brand with many people. I like the grille-less original Q45 – the addition of a chromey grille for 1994 was the beginning of the blanding-out. The second-generation Q45’s profile reminded my of a post-’92 Cadillac Seville. In an interesting turnabout, the Buick Lucerne ended looking suspiciously like the third-generation Q. It would be hard to compete with the LS400. The LS is the best built, most reliable car ever made. Better than the LS 430 or LS 460? I always want to know why one generation is better vs another generation. I have never driven a Lexus but I have ridden in my SIL’s LS 430. Back in the early 2000’s I test drove a few first generation Q45. I thought they were softer riding than BMW but still firm. My rides in the LS 430 reminded me of the ride in my wife’s 2002 Lincoln Town Car. Later LS models are nicer, but the mid to late 90’s LS400s are considered just about the best built, most reliable cars ever. Another problem with the Infiniti launch here was the public perception of Nissan. Far gone were the heady days of the seventies, when the 180B was Australia’s top-selling four. Nissan had struggled with styling, veering from uber-conservative to uber-outre and back – I’m sure everyone can think of examples. Nissan had struggled with engineering, losing the IRS from their once-popular mid-size cars, and doing strange things in response to our emission laws. Nissan had struggled with quality, their locally assembled product often being criticised in road tests, not as good as rival Toyota. Nissan had struggled with product decisions, ditching the well-regarded Skyline range just when things were starting to get interesting (R32 series) in favour of the FWD Maxima – and yet selling the GTR here! And dropping the Silvia/Gazelle just when the beautiful S13 series came out, perhaps the commonest ‘grey-market’ used import Nissan. Against this background, they wanted to sell a top-shelf luxury car with the Nissan name on it? This decision went far beyond wishful thinking. My brother in law is one of those guys who buys THE latest car the magazines are all ga-ga about, or at least that is my impression of him. Before the debut of Lexus and Infiniti, he drove Audis and Volvos, whichever one had recently been heavily praised by the magazines. At one point in the early 90s he bought an Infiniti J30. But when he thought it was wearing out tires too quickly and the dealership wouldn’t offer a fix for the rapid wear, he switched to Mercedes-Benz. The point of the above story is that aside from a good car, and decent advertising, Lexus left Infiniti in the dust (so to speak) with customer service that set a HIGHER standard than even the German brands were offering to their customers. I definitely remember Lexus ads that promoted the idea that they would come pick up your car, wash it after it was serviced, and then return it to your home or office. I liked the original Q45, the facelift and subsequent models? Not so much. I even bought a 1st generation G20 (used) and felt it was in most ways better than the same year Integra that I would also own. I didn’t care for the marketing pitched almost exclusively to women that the 2nd generation received. It’s my view that the launch of the Infiniti brand must have been a rush job, that after the Q45 was “locked in”, Nissan scrambled to flesh out the lineup. You get the idea that management in the US and/or Japan looked at Lexus and tried to match them. Lexus had the SC series sporty cars, we will send…..the M30? Lexus had an entry level sedan (as does Acura) so we will send a small sedan. Also, keep in mind everyone that suggested different Nissan models, the M and the G had existing (as in already certified) powerplants in them. And it would be a few years after the launch of Infiniti that Nissan almost went bankrupt, but was instead “partnered” with Renault who put them on a strict budget. i like the styling. A big menacing looking car like a gangster would drive. When I started in advertising in 1988, one of the things we frequently did was go to the color separator to look at print proofs. One day in 1989, I was checking our proofs and saw the “zen” launch campaign for the Infiniti, which I thought was nuts. 15 years later, I’m working with the copywriter who penned that campaign, who may not have hit the mark for Infiniti, but is one of the best minds in my business I’ve known. Small world, small world indeed. Not a bad car, but definitely mis-positioned. Lexus did a much better job. Part of what seemed so brilliant about the Infiniti launch at first was the austerity. Lexus clearly wanted to tackle MB directly and didn’t mind grabbing some Cadillac fans along the way. I always got the vibe that Infiniti was veering towards the types that eschewed anything tinsel-y and superfluous. I would imagine Infiniti saw its buyers as those with many books, fewer televisions. It was for tony people without the need for pointless wood inserts and puckered leather door panels. BMW, at the time, used little chrome. The elite I knew gravitated to the purity of the Ultimate Driver’s Machine mission and surely, Infiniti wanted that kind of customer. Those that went with Mercedes typically wore more jewelry and appreciated more showy aesthetics. Did it work? Not really. Heavy readers don’t tend to splurge on excess- and for them there was Volvo or Audi -and ultimately, probably Lexus, because of the reputation for quality, above all else. At this point, I have no idea what Infiniti stands for besides being a step up from Nissan.